The cover of Tegel Manor. Note the small version of the insanely huge map on the cover! 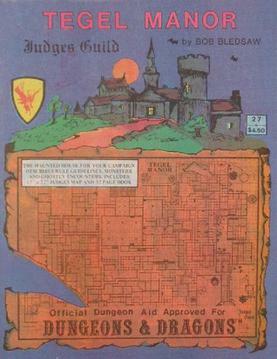 Judges Guild did incredible maps.